One of the benefits of working at Automattic is that on hire you can pick out a Timbuk2 bag to carry around your computer (another benefit) and other work gear. They also are great for meetups, co-working, and any other kind of movement from point A to point B. I’ve had my Timbuk2 for 5 years, and it has been great. It’s colorful and the rucksack style lets me really wedge a lot of stuff in it for weekends away or traveling with the kids (they need a lot of stuff). Following our Grand Meetup in the fall, Automattic decided to trial a new backpack for the company, so I signed up to get one. I’ve only been using it a few days, but so far I really like it. It’s an Aer Fit Pack 2, and I chose grey with a black logo. When I first pulled it out of the FedEx box, I was a bit skeptical. Sure, it looks good, but I have ended up with a raft of bulky gear to haul every day to my co-working space, and I don’t really want to have odds and ends sticking out of my pack like some 1920s photographer lugging tripods. But it all fits, and it fits strangely elegantly. Aer has taken the pack to market as a gym/work bag, and that’s great, because it means there are discrete pockets to separate your gym and work stuff – which I don’t need precisely, but I do like having everything In Its Place, and that’s what I get with the Aer. 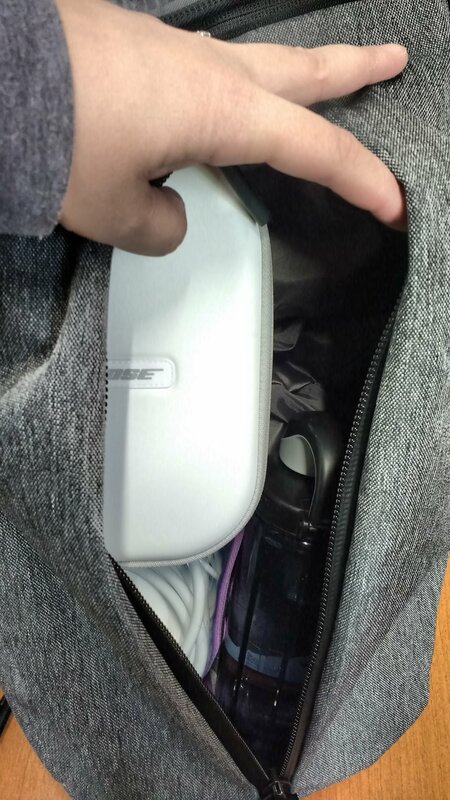 As you can see from the photo, I don’t carry around that much stuff, but it all ends up being relatively bulky, particularly my lunch box, the Bose case, the pack of cords, and the water bottle. 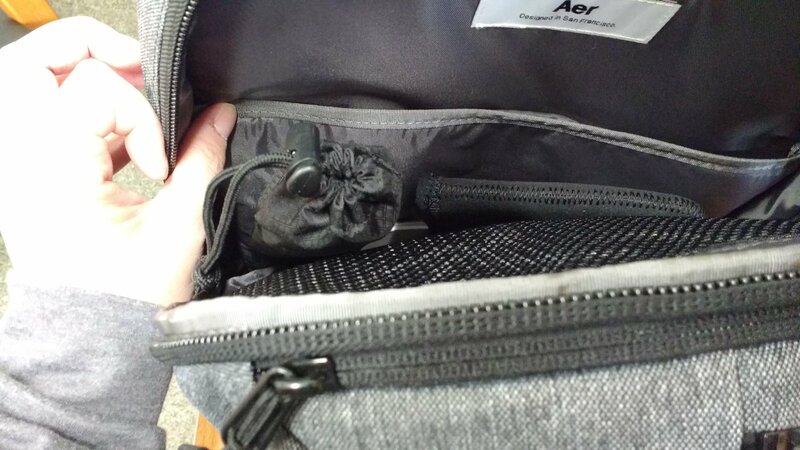 I was really uneasy at first that there was no water bottle pocket on the outside of the Aer, but after a few days of carrying the bottle in the bag, I’m calming down about it. In what is clearly designated the Work Compartment, I carry notebooks, pens, a spare USB cord, and my computer, Roost, keyboard, and magic trackpad. In the front butterfly-zip Clothes Compartment, I carry my clutch, Bose, cord pack, and water bottle. 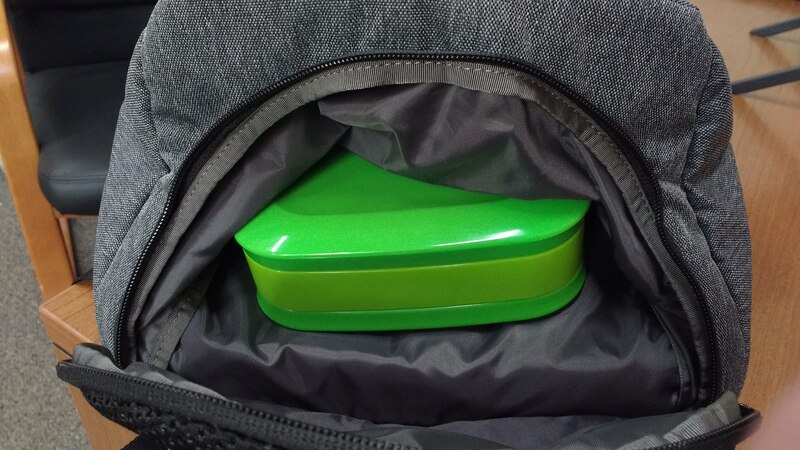 In the Shoe Compartment I slide in my lunch box. And somehow, the pack doesn’t feel bulky or crammed full when everything is in, which (I regret to admit) my Timbuk2 wasn’t able to do (it ended up feeling packed to the gills with the same daily gear). While it’s been less than a week, I am converted. I feel confident that the Aer will also be a great weekend bag, and a travel-with-kids bag to boot. I’m looking forward to pushing it to the limits and seeing just what it will hold. Oooh! It never occurred to me, but I could see something like that working! Thanks for the tip, Edu!